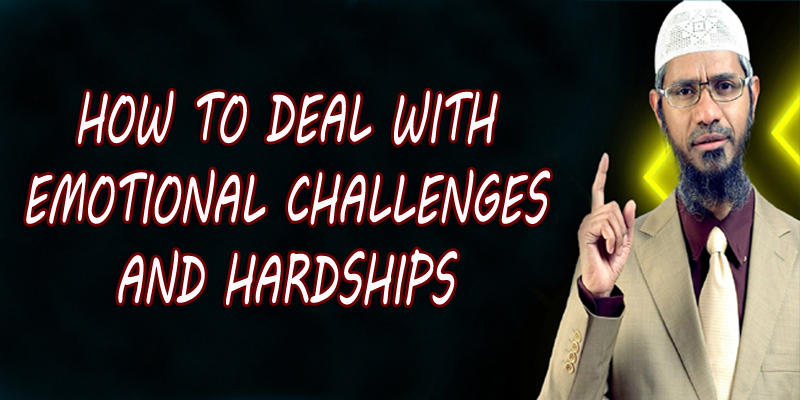 So the question is, how can we overcome the losses, challenges, and disappointments that are inevitable in life? How can we carry on with our lives to fulfill our ultimate purpose and maintain a strong connection with Allah? How can we heal those wounds and overcome those worries, so we can live our life to the fullest and step up to what we could potentially do to make a positive difference in the world? Our health, wealth, and loved ones are all blessings and gifts that belong to Allah, which He lends to us for some time. We just tend to forget that they are gifts and end up attached to the gift and not as attached or thankful to the One Who blessed us with the gift, even when He, in His Infinite Mercy, chooses to take the gift away. So when you thought you needed something or someone all along to feel more worthy; whether a job, money, status, spouse or friends, although all of those things are gifts from Allah, the One you really and ultimately needed all along was Allah. We need to constantly remind each other of this truth, because as human beings, we are prone to forget. We forget that Allah’s showered us with His blessings. We forget the years that Allah gave us ease, and tend to only remember the times of difficulty and the times when we were tested with some loss of some apparent blessings for reasons that Allah, in His Infinite Knowledge and Wisdom, knows would ultimately be for our betterment and elevation. We can choose to hold on to the truth that in the end, there is An All-Seeing, All-Hearing, All-Compassionate God who is taking care of every single soul that walks this Earth. We can choose to have hope in Allah, which then grants us hope in ourselves to carry on, despite multiple losses, challenges, and disappointments. So yes, we will hope, we will dream, we will strive, and we will build. Indeed we can fail, fall, and feel hurt, betrayed, and feel a lack of empathy and compassionfrom others. However, we can get back up, try again, hope again, dream again, strive again and build again. We can succeed again. We can be happy and fulfilled again. Once we build that hope and faith in Allah, that will be the fuel to have hope and faith in ourselves, because He tells us that He created us in the best way possible and that with Him, anything can be possible. Every time you experience some sort of loss or challenge that has broken your heart, choose to revive your love for the One whose love was meant to fill your heart: to love Allah, to turn to Him, to expect nothing except from Him, and to ultimately give and do everything for Him. Every time you thought the world would fill that void in your heart, choose to remember it as a reminder that nothing could fill that void except the closeness to and love of Allah. • Most importantly, we have Allah: The One Who loved us before anyone loved us, and The One Who raised us from the depths of darkness. He Who protected us, gave us life, gave us an opportunity to be deserving of a heaven that spans the skies and the earth and make a positive difference in the world, In sha Allah.